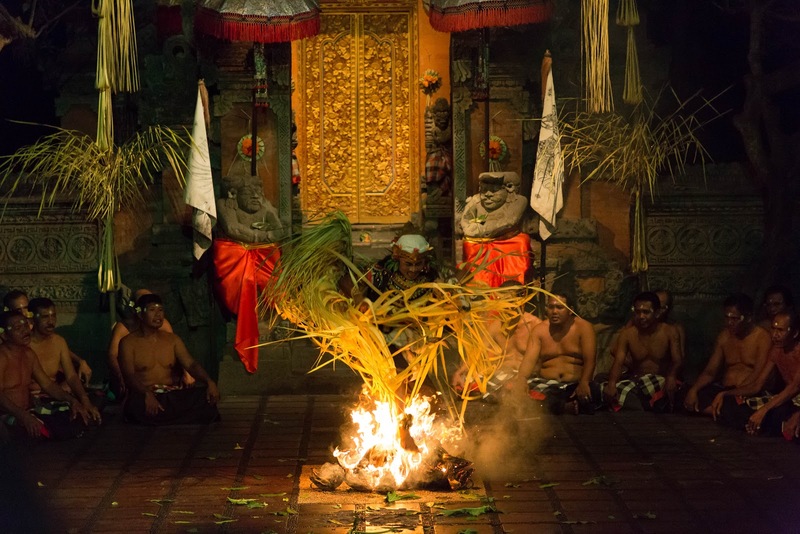 Bali has a lot to offer and there is just so much you can do while you stay in Seminyak. The thing I love about Seminyak, is that it is not as crowded as Kuta and possibly less noisy. It has a great vibe and good shopping along the Main Street of Jalan Kayu Aya. 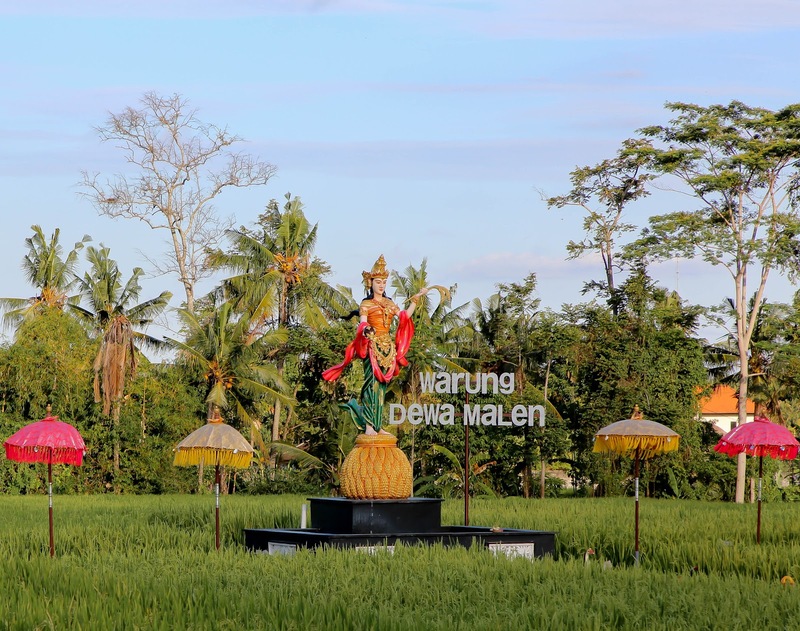 The best part of staying in Seminyak is, that it is quite centrally located. You can stay here and every other town: Nusa Dua, Sanur, Tanah Lot, Canggu will be easily accessible by scooter. 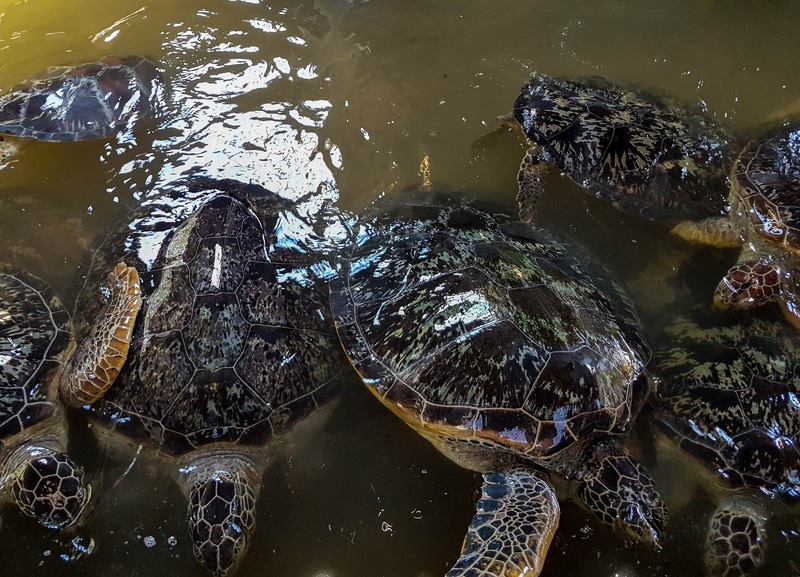 Let's explore the things you can do in Seminyak, Bali. 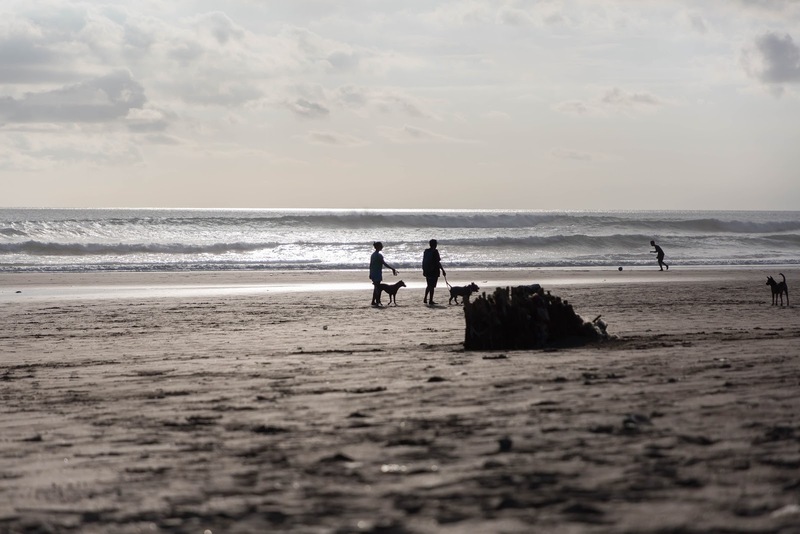 The beach at Seminyak is one of my favourite for people watching. Every evening you'll find friendly stray dogs, owners walking their dogs and people strolling in the area. Have a stroll on the beach or park yourself on the beach for a bit and enjoy the sunset. If you feel like lounging and having your cocktails, head over to Ku De Ta, La Plancha, Potato Head Beach Club just to name a few good ones to get to. Time tested great food can be had a Made's Warung. The ambiance is great too and they now feature nightly variety shows. Some days, you'll get to see a Legong dance which we loved and had come back a few days just to watch it. Try everything and anything on the menu. Alternatively, just across this spa, you'll find the Spa Bali Seminyak. I've heard good reviews from friends who have been there. I can't vouch for it personally because I've never been. But just in case you're looking for an alternative, this would be it. 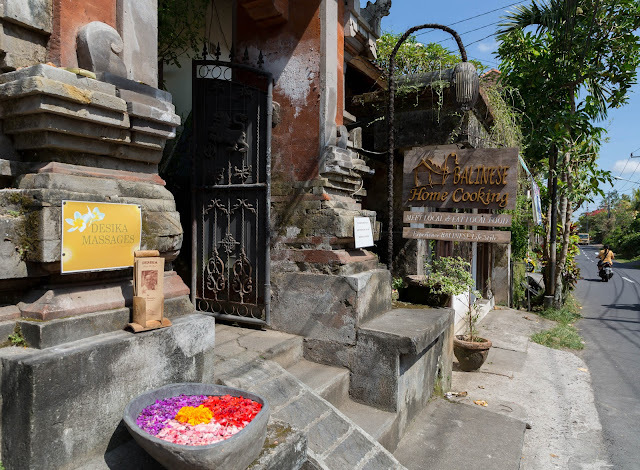 Jalan Kayu Aya, the main road that runs through the Seminyak area has a nice mix of restaurants and boutique shops. You'll get artiste selling their work, small boutiques selling everything and souvenir shops. Definitely worth spending a day walking around the area, stopping in to the cafes to have food or a coffee. Easily accessible by a scooter, we headed down early morning to avoid the crowds, yet at 7.30am, the crowd was starting to fill in. It took us roughly 30 minutes to get here and it was a relatively easy ride. Low tide allows you to walk up to the temple and receive blessings from the priest there. You'll also find a natural spring under the temple complex. 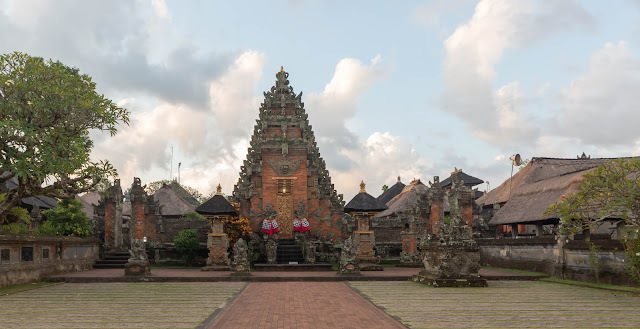 The temple itself is not accessible to anyone except for balinese Hindus. While the photo opportunity during sunset would be far better, the peaceful, less crowded atmosphere appealed to us even more. 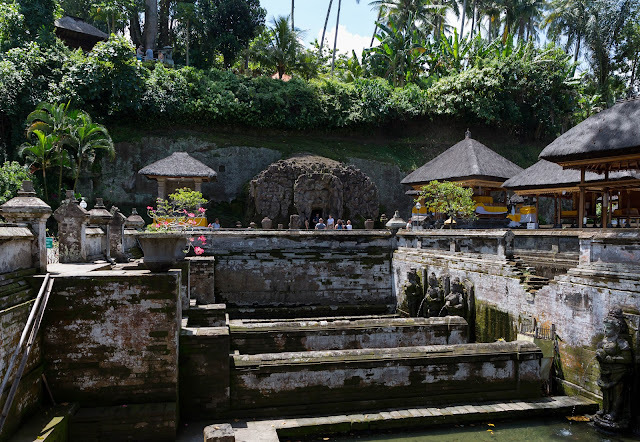 As you take a ride from Seminyak to Tanah Lot, you'll be passing by most of North Kuta and Canggu. Spending a day here, is far more relaxing and less commercialised compared to Kuta and Seminyak area. 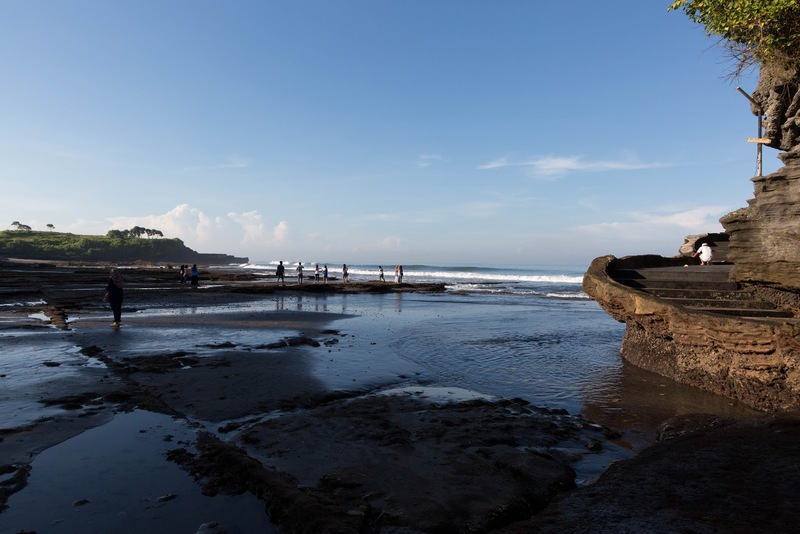 Its worth a day trip, possibly catching a breakfast after Tanah Lot and walking around the area. 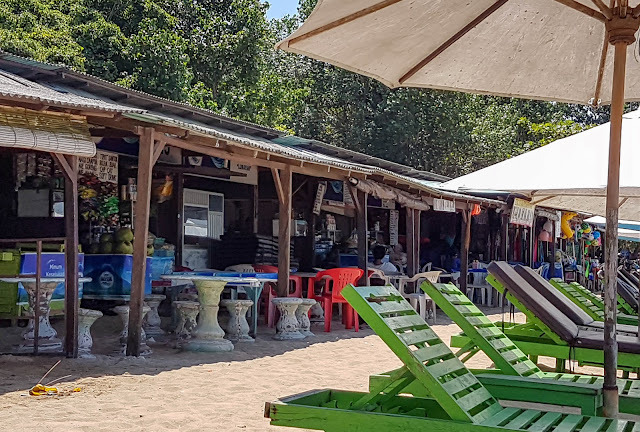 You'll find access to a few beaches off the main road and worth a visit if you have time to explore. The sea, food shacks and easy going strolling along the streets will entice you in this quiet place away from the hustle and bustle of Nusa Dua. 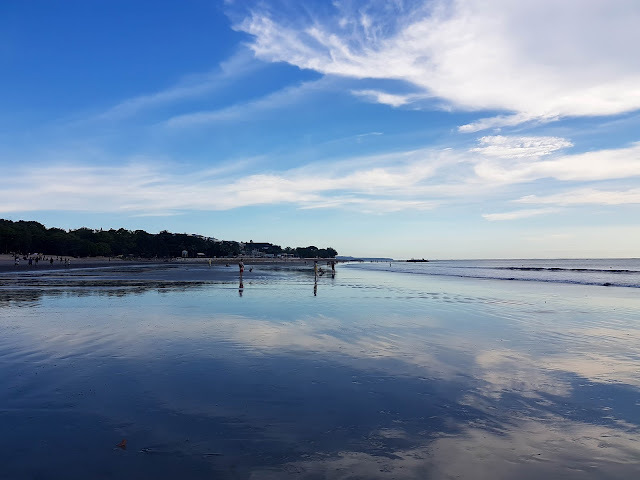 Its cheaper, less crowded and a great place to do some swimming as the water is calmer here compared to Seminyak or Kuta. Get here early morning because as the tide comes in, expect to see lots of weeds wash up to shore. As this isn't a four star hotel managed beach, there aren't any crew to clear away the weeds. 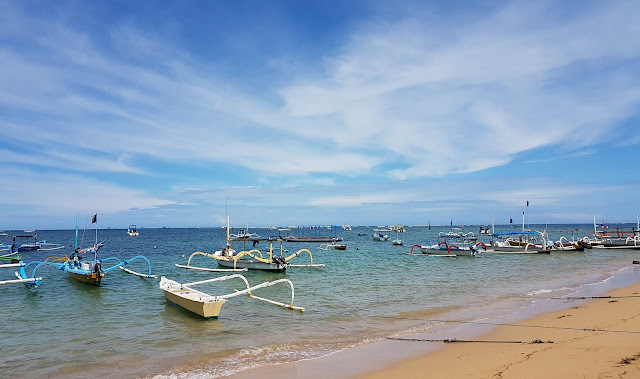 A bike ride from Seminyak to Sanur took us approximately half an hour. We used google map to find our way the first time. Subsequent visits were quite easy to remember. 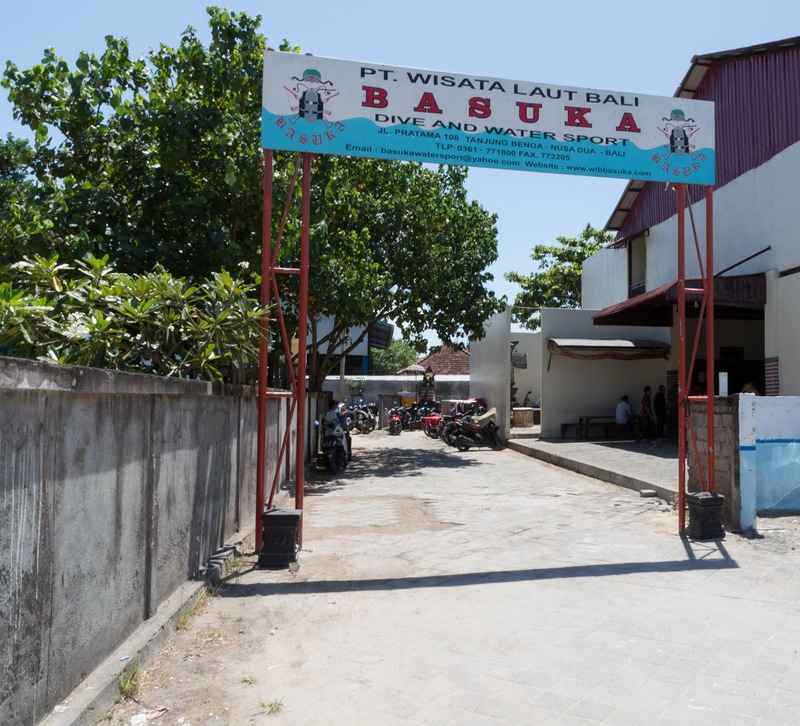 You'll need to set your google map to Jln Kusuma Sari to access the beach front. 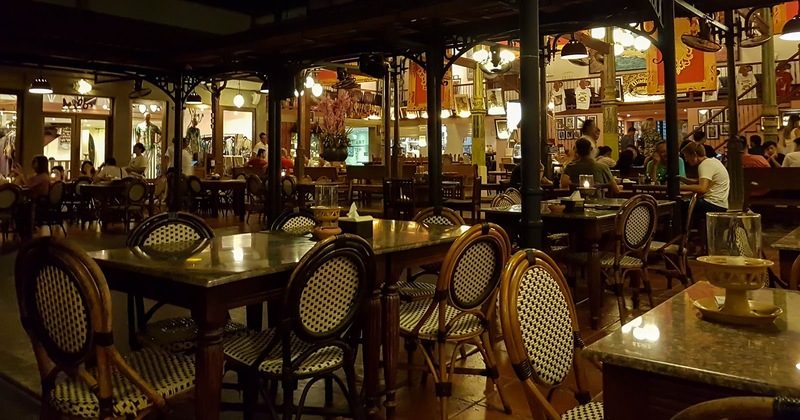 Hotel Puri Santrian is also a landmark to set for yourself in case you can't find your bearings. Rent an umbrella and 2 loungers for IDR 50,000. The area is filled with shacks where you can get a meal, coconut water or Bintang Beer. 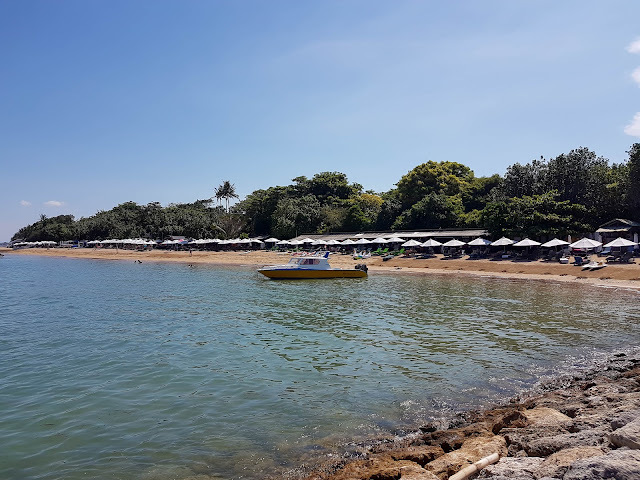 If like us, you stay in Seminyak or Kuta, its relatively easy to head over to Sanur beach early morning, park your scooter and lounge in the area for a swim as well as for breakfast and lunch. Around 20 years ago, when I first came to Bali, I stayed in Kuta. 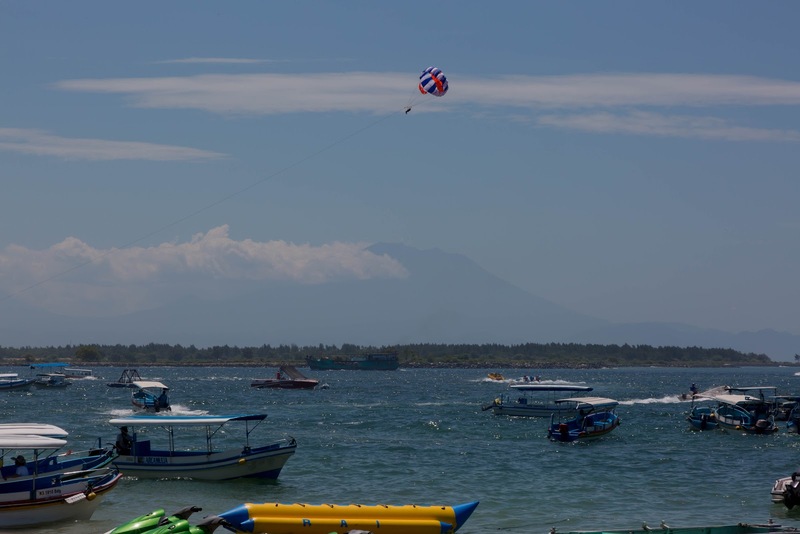 While it was still quite a bit busy and noisy then, Kuta was nothing like what it is today. 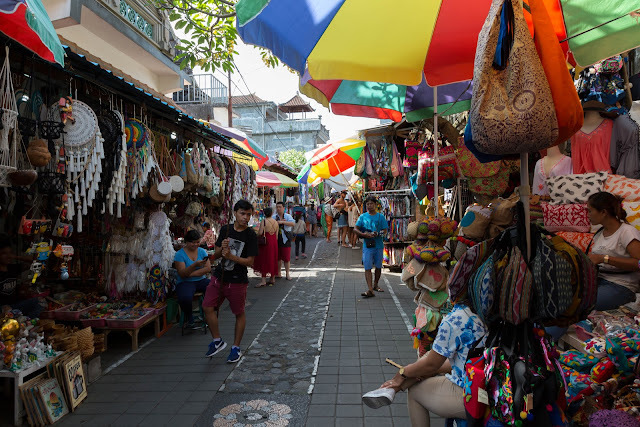 Kuta is now a shopping paradise. And I no longer recognise it. While we haven't stayed in Kuta since, I still do love the beach and it is worth a visit. You can take surfing lessons here for IDR 300,000. 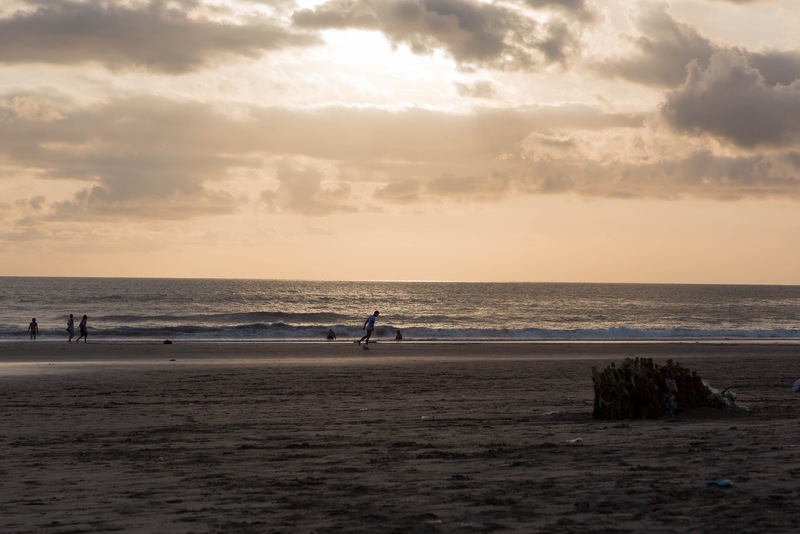 The beach is safe to go waddling in and the best part about Kuta would always be the waves and playing amongst them. Kuta beach is a short bike ride from Seminyak, it took us 15 minutes to get in. The traffic jams are another story here though. Expect to be caught in jam at any time when heading here. 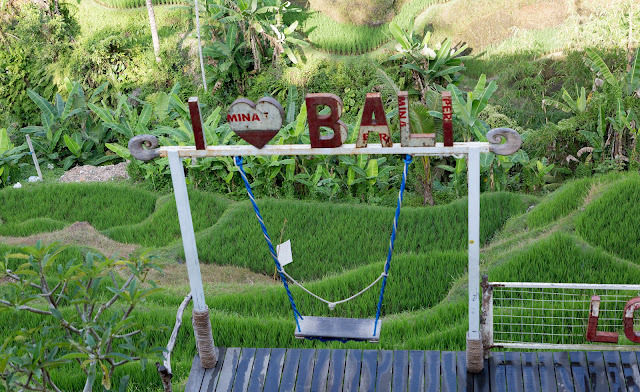 Seminyak is a great place to stay at since it is so centrally located to most of the attraction and towns in the area. There's lots to do. Hire a scooter and go explore the area. Alternatively, shop around the many boutiques in the area and stop off at the beach to get a drink and watch the sunset. There's just so much to do here. 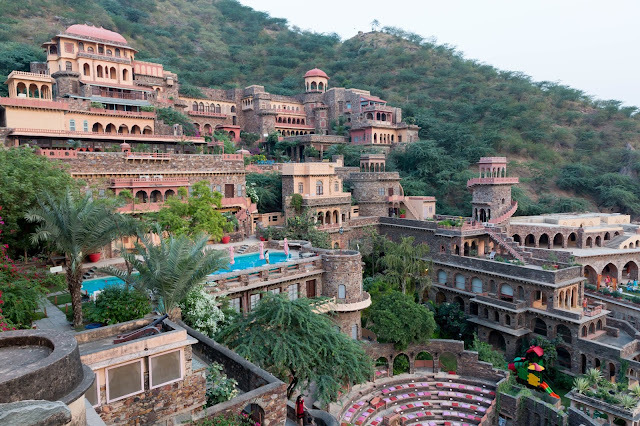 It also has lots of reasonably priced hotels in the area. 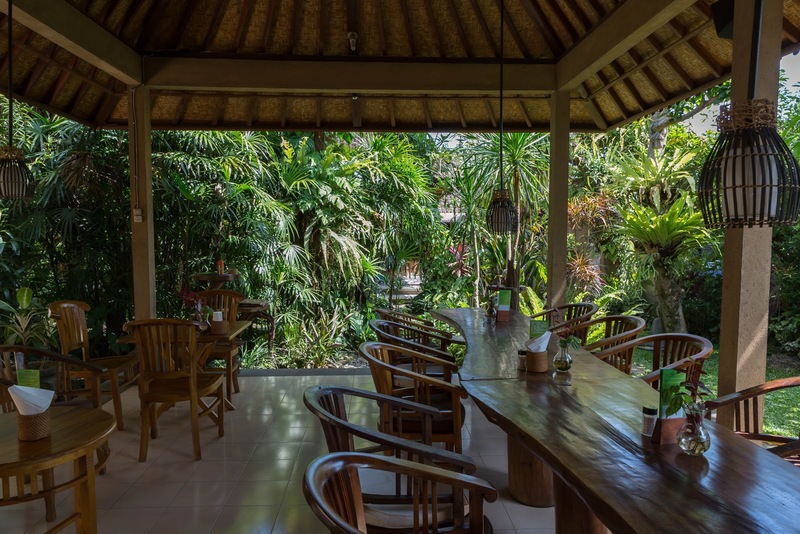 If you head slightly further up into North Kuta, the accommodation gets cheaper and the place less crowded. Travelling to Bali and want a short run down of the positives and negatives of the country, visit my post: Is Bali worth it? Stay in a private villa in Ubud, set among paddy fields and quiet nights under the stars. Ubud doesn't have a great night life scene and you'll find the time to sit around in the evenings enjoying your wine and beer. 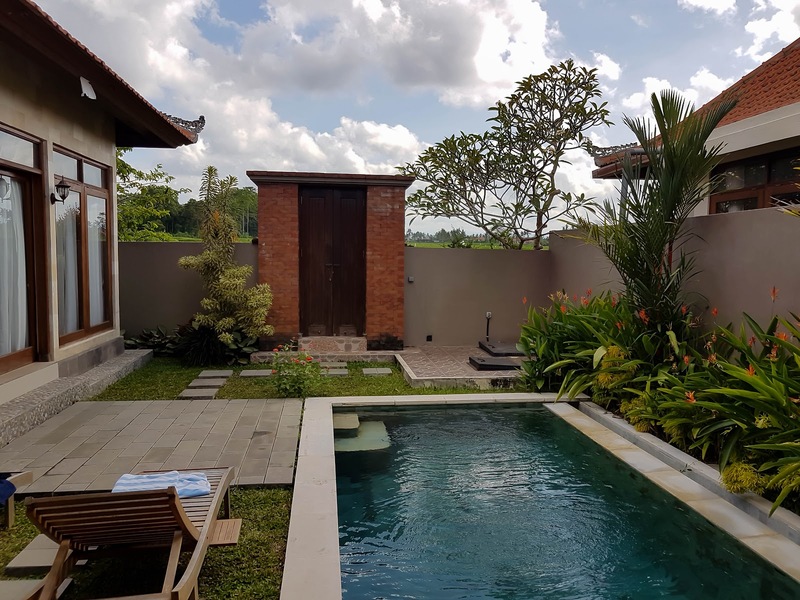 Ubud also has villas at a much cheaper rate compared to the more touristy Kuta and Seminyak. It is also far quieter at night and we found that we enjoyed the villa experience far more in Ubud than we did elsewhere. Avoid the commercialised streets of Jalan Hanoman, instead, head just outside the main areas and try the local stuff. 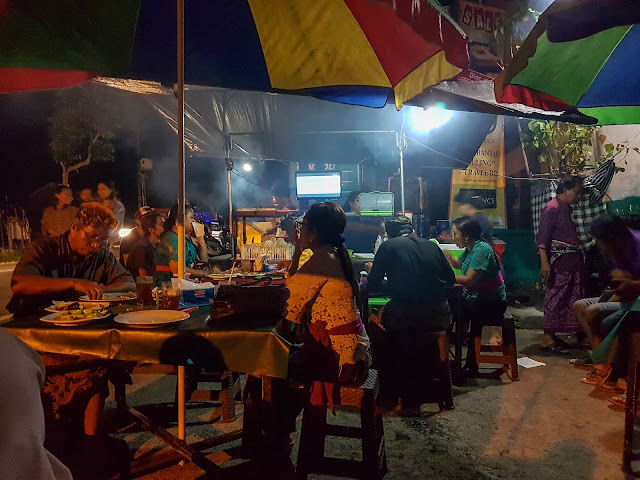 We had ayam bakar from a local seller in his make shift night food stall along Jln Goa Gajah, roti bakar from a stand and soto ayam from a small shop. We never suffered from stomach issues and the food was phenomenal. Take note though, if you're eating at local stands, they don't cater for cutleries, you'll find that your skills at using your hands will come into play here. I'd carry a wet wipe and sanitiser just to be safe. Although most places will have a sink and soap handy so you'll be safe. Eating at these places did have their advantages, we met the locals and had some pretty great conversations. You'll also find lots of people eating here after their temple visits, all dressed up in their traditional clothings and catching a bite before they head home. 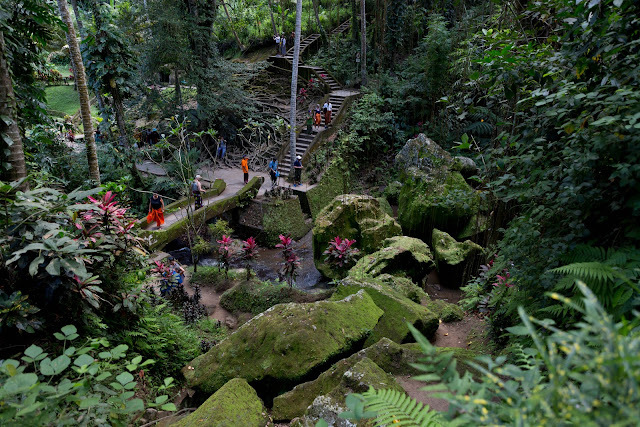 Its one of those things I love about being in Ubud and staying farther out away from the main town area. When in Ubud, you must head over to this place. It has amazing food. 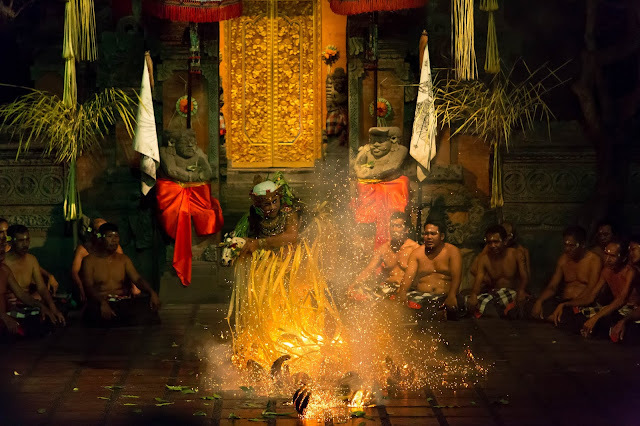 Its located in the house of a balinese family which is a great way to see how balinese people live. The owner is very chatty and loves to come by to see how you're doing. The food does take time but you won't notice it. We met other couples and had great conversations. Most people we met had been over a few times during their stay in Ubud. So, grab your scooter, and head over to this place to try out their food. They also perform the Sanghyang Jaran Dance which was mesmerising and a great photo opportunity for those who want some great photos. 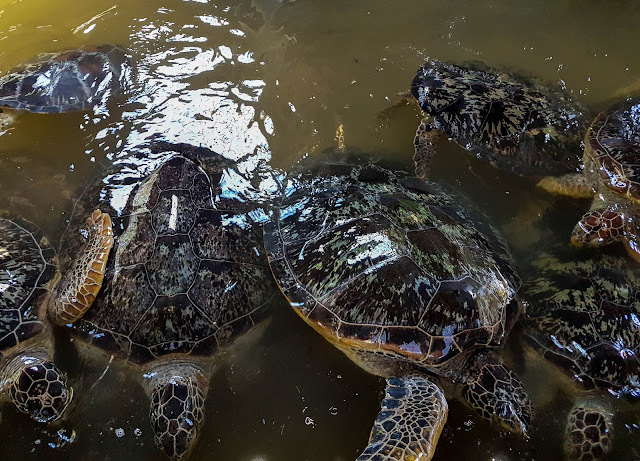 Travelling to Bali and want a short run down of the positives and negatives of the country, visit my post: Is Bali it worth it?